Torin Drive, the specialized manufacturer of the elevator traction machines, the lift components, the compressor airends, the construction elevator speed reducers, other drive equipment and high quality castings, launched its production of elevator traction machines in 1985. Now, Torin Drive is the largest elevator traction machine manufacturer in the world. As Key High-tech Enterprise of State Torch Plan, we have world class factory with R&D test tower and the advanced equipment. 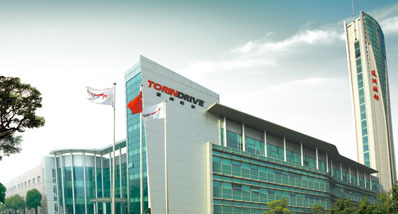 Torin Drive aims at the diversified needs of clients and the various regional lift markets to develop the products in accordance with the diverse criterions, such as Asia Series, Europe Series, and North America Series, etc. Each day, more than 1，000，000 units of Torin Drive elevator traction machines are running simultaneously in the buildings throughout the globe. TORIN DRIVE strives for the most excellent elevator components production group with the intention of providing the personalized supporting and all-round service for the clients.